Aside from its witty and catchy name (as it sounds like chismosa which is a filipino/spanish word for someone who loves to gossip), what really caught my attention is their product itself. People often associate mozzarella cheese with pizza and pasta dishes. Not many people would think about shaping it into bite-size and sticks, cover it with crunchy coating, and sell it as their main snack product. The name ChizMozza actually came from Mozzarella Cheese. Not so hard to figure out, right? 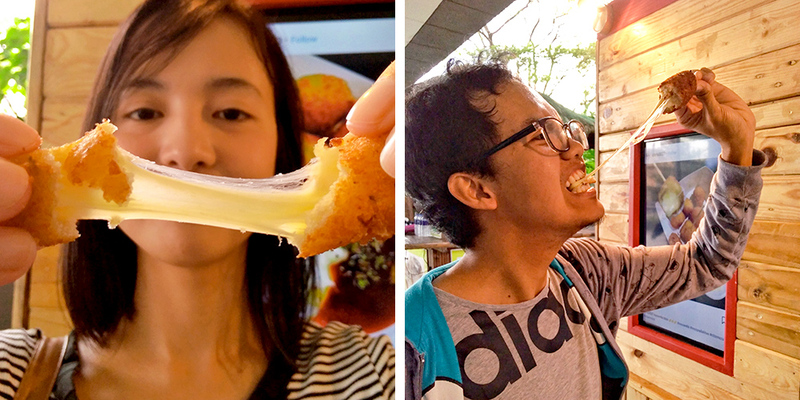 According to the staff, their best sellers are the Mozzarella Bites and Mozzarella Sticks. This snack is crunchy on the outside, cheesy and gooey on the inside. I liked how fresh it was served as they will only cook it upon ordering. Frying would only take about a minute. 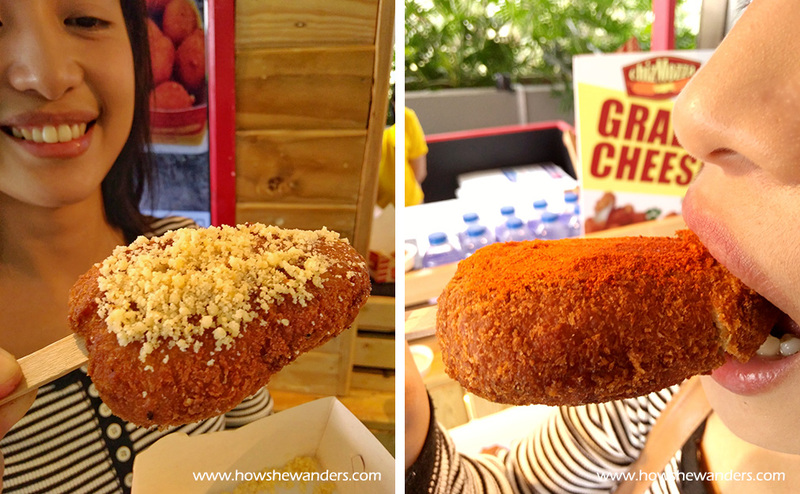 What amazed me was that although it’s deep fried, it did not taste greasy! You’ll know it’s 100% real mozzarella cheese when you try to break it but it won’t, instead, it will streeetch! The staff mentioned that the mozzarella cheese used were even imported from Australia, so you’re actually not gonna munch on some cheaply made snack. Who wouldn’t want a world class quality snack that doesn’t break the bank? Each order comes with a free dip (mayo & tomato ketchup), but if you’re not a fan of it, Premium Dips are available in Pesto, Spicy Garlic, Garlic Ranch, and Garlic Parmesan. My personal favorite among the four is the Pesto Dip! 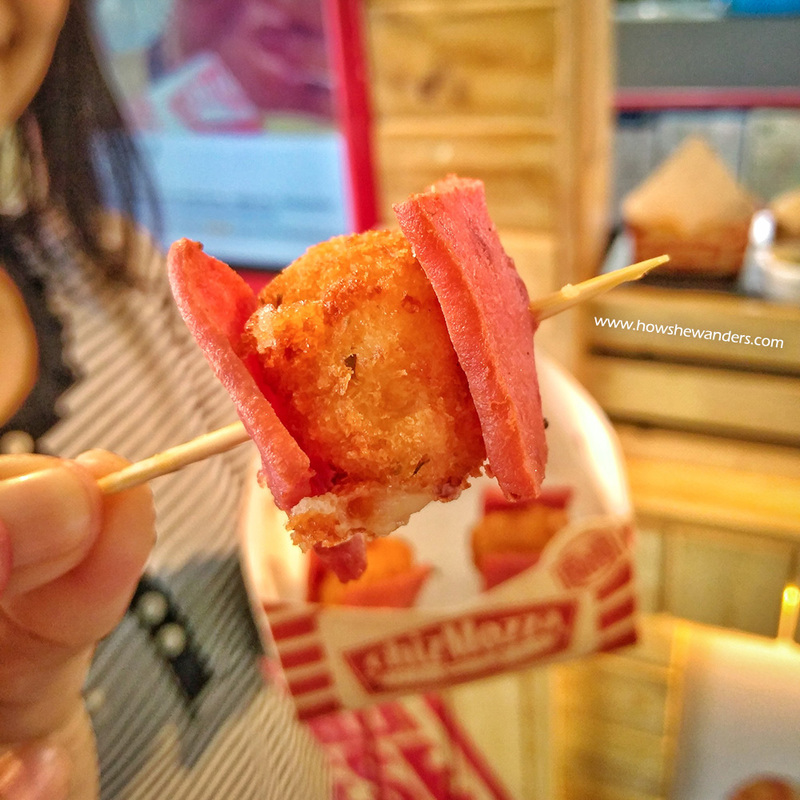 What I liked about ChizMozza is that their creativity was not limited on Bites and Sticks. They even made it through the Popsicle Cheese and Ham & Mozza Pops! Popsicle Cheese is just like Mozza Bites and Sticks in terms of ingredients used. They just differ in size, shape, and flavor. Popsicle Cheese is bigger and shaped like a Popsicle, hence its name. It has two flavors, namely, Cheesy Parmesan and Spicy. If you’re not into bite-size and sticks, this one would be perfect for you. It already has flavorings so it can be eaten as it is, but you can still partner it with their Premium Dips according to your liking. Since it’s bigger in size, frying takes about 2-3 minutes. As a ham & cheese lover, the sight of Ham & Mozza Pops on the menu made me feel even more excited! The perfect match of ham and cheese is pretty basic. It’s a common variant for pizzas and sandwiches. But this time, it’s on stick! 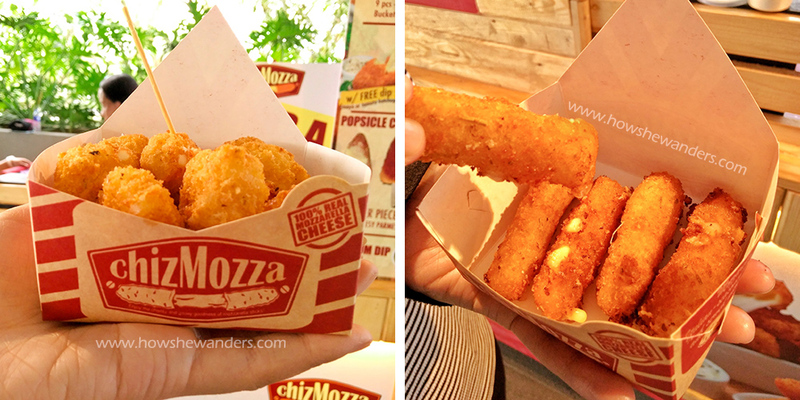 Like the Mozza Bites and Sticks, it also comes with a free dip (mayo & tomato ketchup). But you can still partner it with any of their Premium Dips that matches your taste. As always, the savory taste of ham worked perfectly well with cheese! 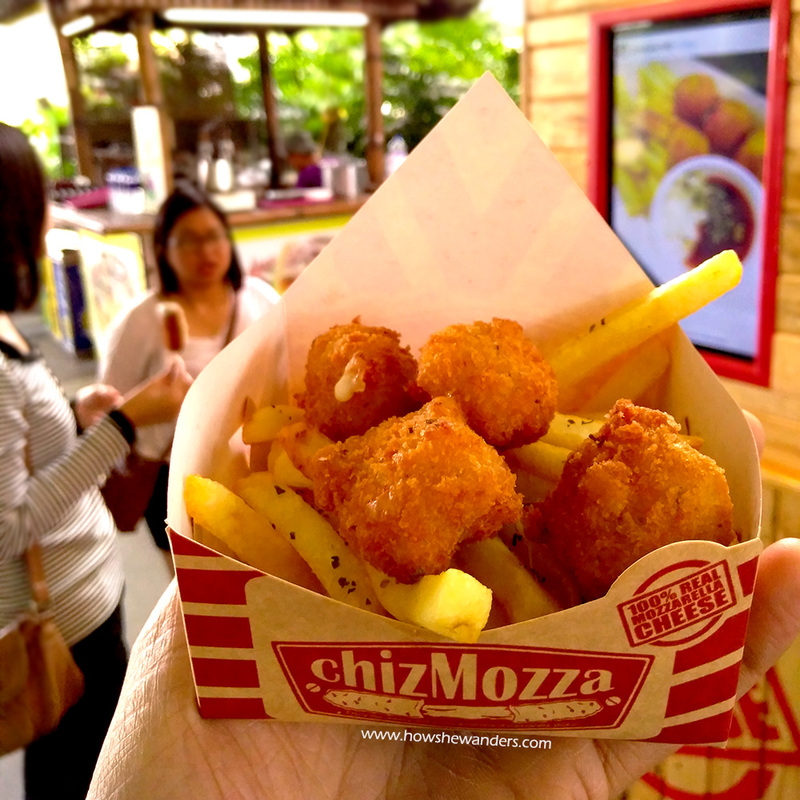 If you’re craving for mozzarella cheese and french fries at the same time, this one’s gonna make you feel kilig! It was not included in their menu in San Jose del Monte Branch but it’s available, so feel free to ask the staff if it’s available in your chosen branch. The fries are as fresh as the mozza pops. It has a free dip as well (mayo & tomato ketchup). I never thought I’m gonna love fries and cheese even more! TIP: Consume it right away before it gets cold to fully enjoy these snacks! 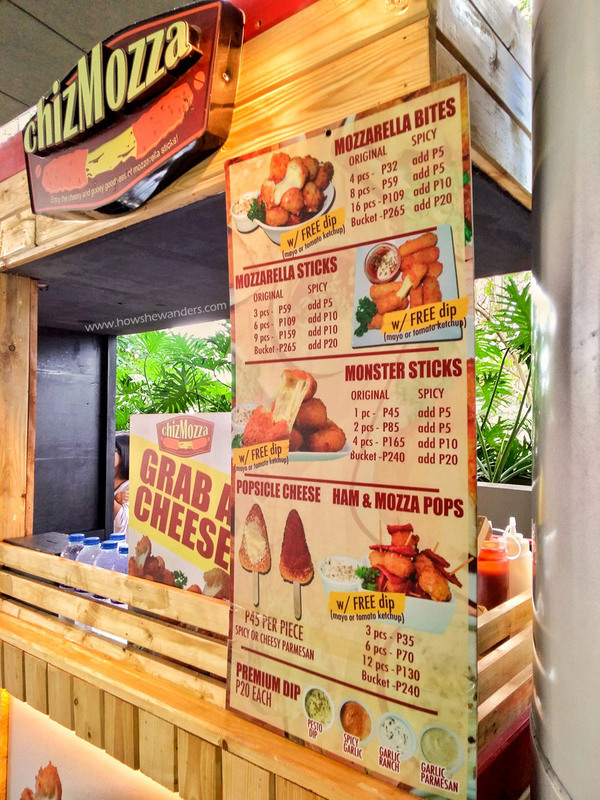 We haven’t tasted the Monster Sticks yet as it was not available in San Jose Del Monte branch. Well, that’s something to look forward to! Are you drooling now? Worry not, because they have many branches scattered across Luzon that you can visit! Disclaimer: While our snacks were courtesy of the owners, all opinions expressed in this post are my own honest thoughts. ChizMozza has no control over this review.